Corner-to-Corner crochet, or C2C for short, is a fun and relaxing technique to work everything from very simple to very intricate designs and graphghans. 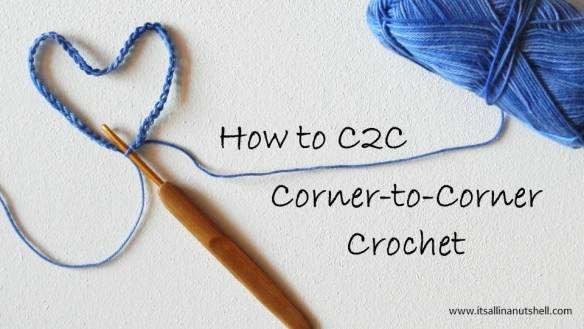 In my series on Crochet Fundamentals I would like to help you master C2C. The basic idea of C2C is that you start in one corner and work along the diagonal to the other corner; hence the name corner-to-corner. Making squares and rectangles is the easiest, but as such you could also make other shapes by increasing or decreasing the diagonal as needed. It has been a long wait for some of you, but good things come to those who wait! It is time for the very first part of Nuts about Squares CAL. 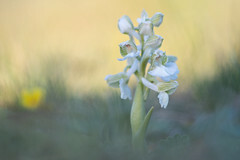 I love all the squares that are part of Nuts about Squares CAL, but the square for week 1 is one of my favorites. This week we are making Esme’s Winter Cottage designed by the fabulous Dedri Uys from Look at what I made.